Logic Pro has been a staple of Apple’s software library for a long time and for good reason: It gives you a lot for very little money. While it’s simple enough for those looking to make the leap out of GarageBand, it has enough depth and features to satisfy those with more know-how. 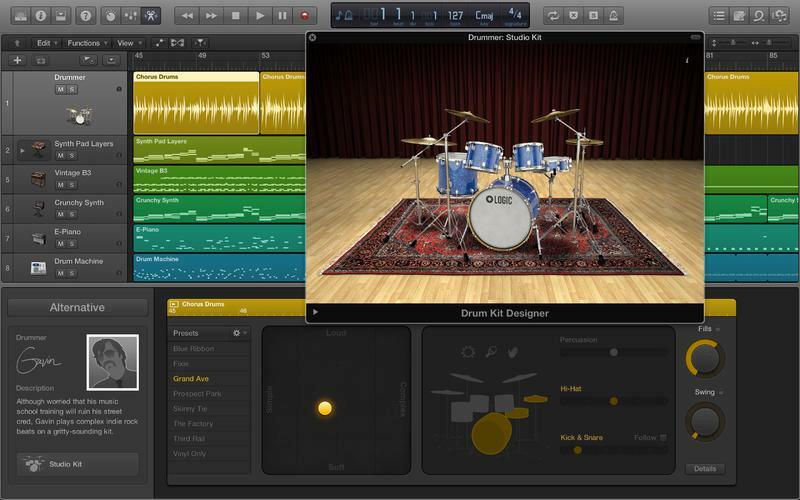 Intuitive smart controls, virtual session drummers, and EXS24 sampler are just some of the awesome features included. For home recording setups. 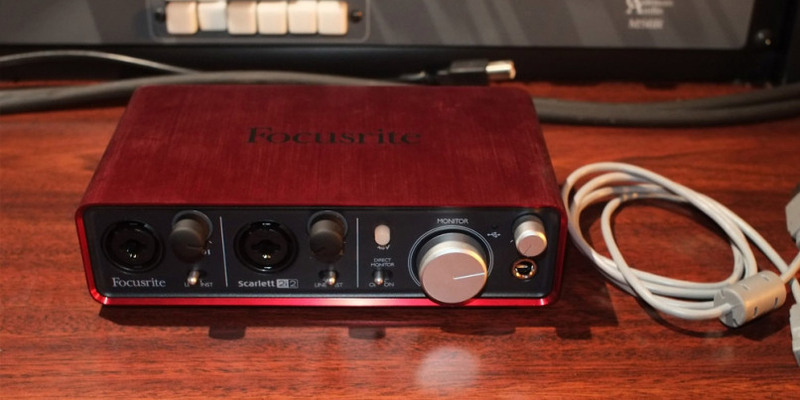 The most popular interface is the Apogee Duet, but for those not wanting spend $400 – $500 on an interface, the Focusrite 2i2 is a great option. It easily links up with Garageband, ProTools, Logic, or Ableton via your computer, or connect direct to your iPad with the camera connection kit. Can’t go wrong with this price point. The term “beginner guitar” usually conjures up images of bland, no-name acoustics manufactured overseas and sold cheap at your local Musical store. 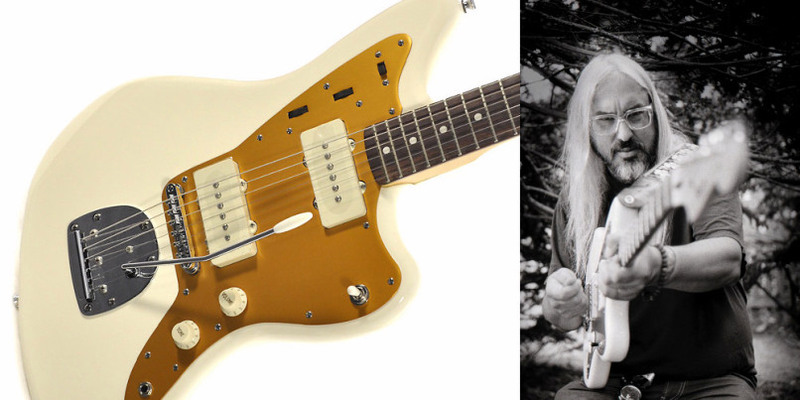 So we’re stoked to see that one of our favorite guitar models – the Jazzmaster – got the signature blessing from one of our favorite rockers – J Mascis of Dinosaur Jr. and The Fog – and sells for under £400. Despite its price tag, this is a guitar that feels and sounds like an instrument that costs three times as much. It’s a guitar that will allow the beginner to rock hard while learning the ropes, one that will inspire them to play every free moment of every day. Perhaps in defiance of the Fender/Gibson traditionalism that has permeated rock for so long, many artists today have instead turned to the forgotten budget guitars of the ‘60s. From Beck’s Silvertone 1448 to Dan Auerbach’s Harmony H78, vintage department store guitars are becoming a mark of hipness these days. 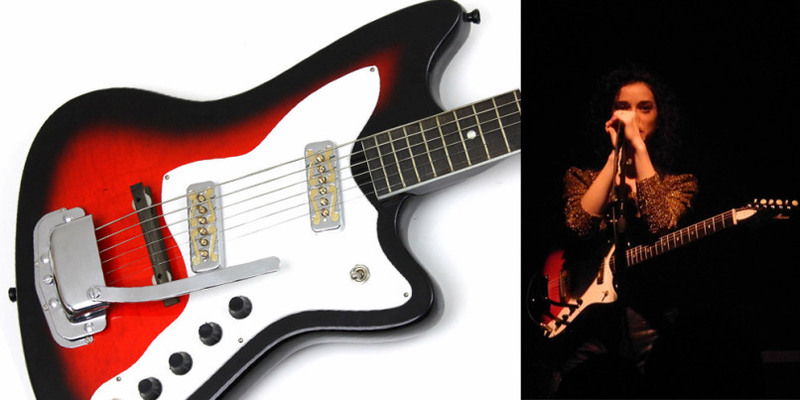 We particularly like the Harmony Bobkat, which is also a favorite of St. Vincent’s Annie Clark. Also known as the Silvertone Bobkat (sold through Sears back in the day), this model came with one or two DeArmond gold foil pickups and a Jazzmaster-esque offset body. Simple, rad, and cheap (for a 50-year-old guitar). One of our favorite handmade gear gadgets is the Ampoid pocket amp. This little guy is a simple amp circuit and speaker built into an Altoid tin. Run a guitar, bass, or keyboard into the 1/4” model to get a pretty mean fuzz tone, or grab one of the 1/8” models and have an external monitor for your phone, iPad, or computer. 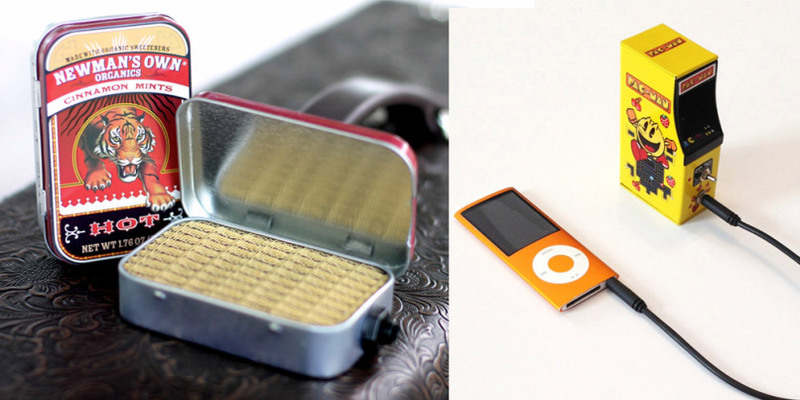 Whether it’s the standard Altoid package or the Pacman arcade packaging, everyone at Reverb carries one of these around. In the amazing amount of guitar effects out there, the Klon Centaur overdrive stands as one of the most valuable — the originals are used by Nels Cline (Wilco) and Mike McCready (Pearl Jam) and sell for upwards of $2,000. Ridiculous, right? 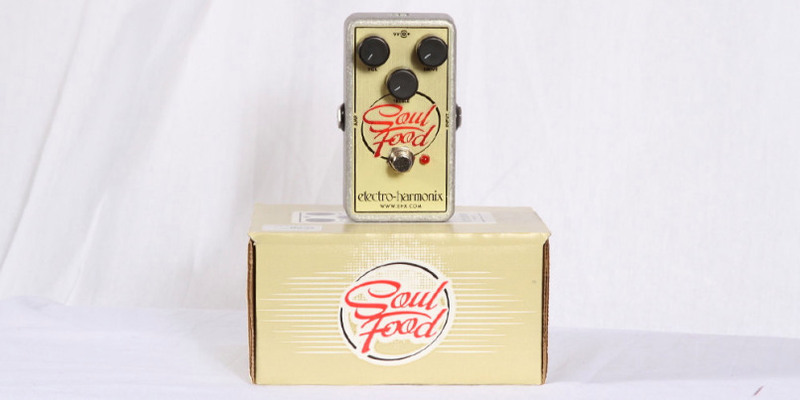 Lucky for us, Electro Harmonix released the Soul Food this year, and in a pedal shootout we did with an original Klon, we could barely tell the difference. At $55, it’s a no-brainer for guitarists who’ve been lusting after the original. PG’s Chris Kies is On Location in Chicago, IL, at the United Center where he catches up with Dan Johnson — guitar tech to Dan Auerbach of the Black Keys. In this segment, we get to see and learn more about Auerbach’s current live signal chain, which includes vintage Harmony, Supro, and Guild guitars, Marshall and Fender amps, and a cool collection of vintage stompboxes.